Enjoy free access to comprehensive online identification and price guides WITH PHOTOS AND SUGGESTED PRICES! 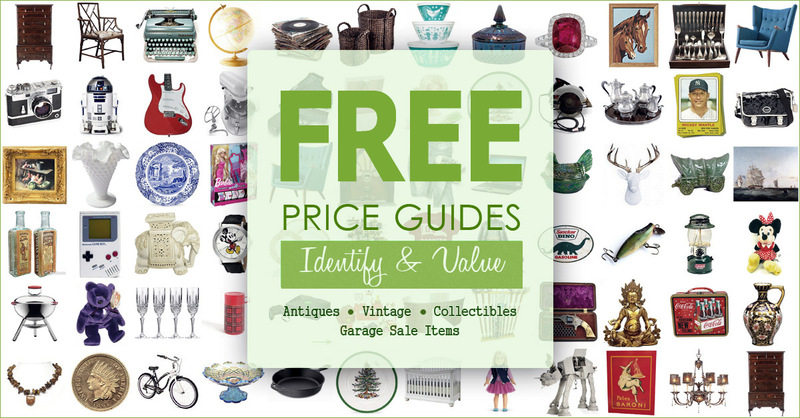 These free online resources can help you estimate the market value of popular antiques, collectibles and household goods commonly sold at thrift stores and garage sales. 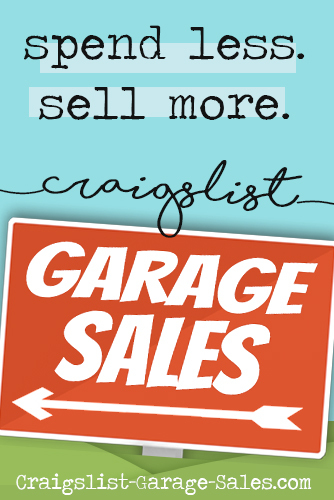 Related: A handy Price Guide to help you buy and sell Seasonal Garage Sale items like a pro! At Oldroads.com you will find information, photos and pricing for used, vintage, antique and collectible bicycles. Oldroads.com maintains a free, online used bicycle price guide, a Vintage bicycle photo database, serial number charts for Columbia, Huffy, Schwinn, Raleigh and Morrow Hub bicycles, tire and rim charts, Brown Brothers Bicycle catalogs...and more. AddAll.com allows you to price comparison shop every major bookstore online (40+) in just one click. You can use AddAll to find pricing on millions of new, used, rare and out-of-print books databased by Amazon, Abe's Books, Powell's, Barnes and Noble and Borders just to name a few. While these prices are not true book values, knowing how much a book sells for at bookstores may be all the info you need to determine a price for your garage sale. Replacements.com has the world's largest selection of old & new dinnerware, including more than 425,000 patterns and 12 million pieces of china, stoneware, crystal, glassware, silver, stainless, and collectibles, some more than 100 years old. Replacements Ltd. makes replacing broken or missing tableware pieces, or entire sets, easy! Find your pattern by browsing online database categories: china, crystal, silverware, and collectibles. Free, no obligation "Find This For Me" search service locates specific china, crystal, sliver or collectibles you want to find. Or, search Replacements, Ltd's entire inventory. At AntiqueclocksPriceGuide.com you can begin your clock research for free, no sign-up required. Browse and search 35,000+ photos and descriptions of antique clocks sold at auction; identify markings, maker, model and year your antique clock was manufactured...and more. **Paid subscription required to see antique clock prices. Purseblog.com features a Guide to Coach product grades and markings plus hundreds of large, quality photos of authentic, vintage Coach bags posted by forum members. The Louis Vuitton Price Guide provides a table index of more than 600 different vintage Louis Vuitton handbags with suggested values for three conditions: new, slightly used and worn. Entries include the model #, dimensions, color, lining material, trim type, and a short description. Click on a link to see photos and more details about each Louis Vuitton bag. (solecollector.com) the average resell value of 4-year-old Nike Air Yeezy 'Red Octobers' is $5517 —- twenty-two times more than the original retail price of $250! The free Yeezy sneaker price guide includes photos, release dates, original retail prices and average resell values for every Yeezy sneaker released to date. Numismatic Guaranty Corporation's free online coin reference provides average values of US and world coins, plus detailed coin descriptions with insightful analysis, photos, coin auction results, mintage figures and current melt values for gold, silver and platinum coins. Compiled from independent, third party sources, the NGC Coin Price Guide is unbiased, comprehensive and one of the most feature-rich coin price guides online. TuffStuff.com's baseball price guide contains up-to-date pricing on everyone from Mickey Mantle to Ryan Braun and every manufacturer from Topps to Upper Deck to Fleer, Donruss (Panini) and more. Kovel's online price guide listing for Coca-Cola collectibles includes Coca-Cola collectible image, category, pattern, description, year priced and price. **Register for a free account to see Coca-Cola collectibles prices. More than 2 million users per month trust the free Funko Pop price guide and collection management tool provided by PopPriceGuide.com. Browse by Funko Pop line (e.g. Pop Vinyl, Plush, Bobble Heads etc.) or franchise (DC Comics, Disney, Marvel, Star Wars etc.) and filter by Best Sellers, Most Popular, What's Hot and Not and by specific Funko Pop doll details like color. GreyStone Web Publishing's Hummel ID Guide is the most current free guide to Hummel figurines online today. Get the most up-to-date prices, search photos and Hummel theme. **Register for a free account to see Hummel figurines prices. POKEMONPRICES.COM has everything you need to ID and-and value Pokeman cards online. Search by name or set, or browse them all; find out which Pokemon cards are actively going up or down in value; compare the cards in your Pokemon collection to a current list of the Top 100 Most Expensive Pokemon Cards (updated June 6th, 2016) and more! Kovel's online price guide list of Star Wars collectibles includes Star Wars collectible image, category, pattern, description, year priced and price. **Register for a free account to see Star Wars collectibles prices. LoveMyBeanies.com's free, online Beanie Babies Price Guide is a searchable index of 673 Ty Beanie Babies that you can sort by Beanie Baby name, hang tag generation, tush tag generation and price. Most valuable Beanie Baby on Love My Beanies list? "Pinchers Korean Tags" valued at $1,800.00. DollPrice.com offers thousands of high-quality, original doll photos and hundreds of descriptions of collectible dolls from the 1900's to today. Price valuations are determined by a certified doll appraiser of 30 yrs. Search or browse for vintage dolls by Doll Maker, Doll Type and year. CollectorValues.com provides a free, searchable database with photos, estimated high and low values and details to help you ID Steiff collectibles produced from 1904 to 2016, including; Steiff teddy bears, brown bears, polar bears and other stuffed animals, Steiff store exclusives, Limited Edition Steiff collectibles, Animal Kingdom, Steiff Disney, Steiff Christmas ornaments, Teddy Bear music boxes, and more. Values are based on current retail prices and auction sales. View market values for comic books, store your comics collection and get to know fellow comic fans at ComicsPriceGuide.com. The team at Comics Price Guide uses a proprietary algorithm and real sales data to provide accurate, up-to-the minute comic book values for more than a million website users worldwide. **Sign up for a free account to see comic book pricing. To help you determine approximate tax-deductible values of your donated items, The Salvation Army Donation Guide (satruck.org) includes low and high estimates of value for some of the items most commonly donated to Salvation Army stores. 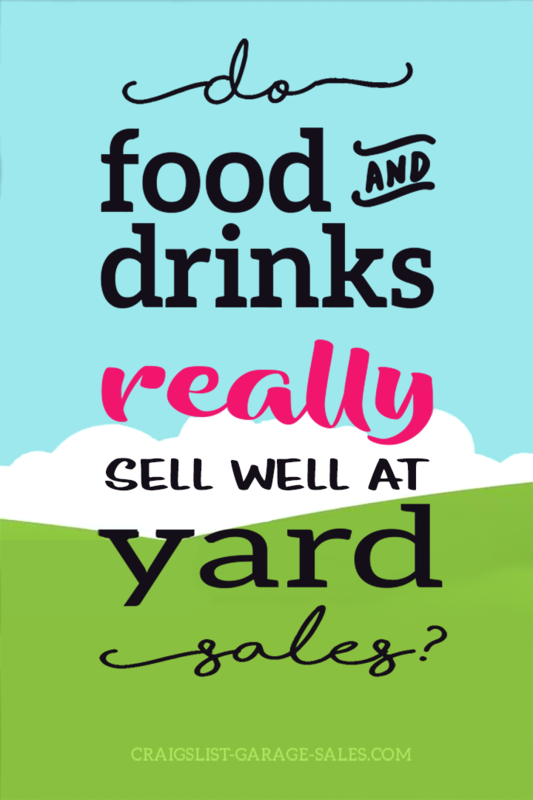 MyFrugalHome.com's free printable includes suggested yard sale prices for almost 100 items commonly sold at yard and garage sales, along with when you should charge more and what you can do to maximize your yard sale profits. The folks at Bluebook.sagese.com maintain a comprehensive database of current and historical market data on millions of computing devices, electronics, and parts from thousands of manufacturers that you can search for free. Simply enter a manufacturer and model name or number in the search box to find out what it's worth in various conditions, the original list price and more. At Antiquelures.com, expert fishing lure collector Phillip "Gabby" Talkington provides extensive educational information, fishing lure prices, photos and identification information on early (pre-1960) antique fishing lures and fishing lure boxes including Heddon, Shakespeare, Pflueger, South Bend and Creek Chub, as well as dozens of smaller pre-1940 fishing lure companies. Glass identification guide at 20thcenturyglass.com covers a wide array of antique and vintage collectable art glass ranging from Victorian Glass to Art Deco and Retro art glass, including Italian Murano Glass; Empoli Glass; Scandinavian Glass; Czech/Bohemian Glass; Maltese Glass; German Glass; British glassmakers such as Whitefriars, Dartington, Vasart and Wedgwood; Paperweights and other glass. 706 pages of Milk Glass auction results with photos at antiquesnavigator.com. Sort by price sold or auction date. The most valuable milk glass in the Antiques Navigator database is a lot of two antique milk glass bottles - a one pint milk bottle and a sulphur water medicine bottle that sold for $5600 in 2012. David Doty's Carnival glass website (ddoty.com) provides a free online carnival glass collector's field guide that indexes carnival glass by pattern (more than 1100 patterns,) shape, motif and maker with prices based on 170,000 auction sales of carnival glass over the past 22 years. The Field Guide to Carnival Glass also includes illustrated glossaries of carnival glass terms and maker's marks. Pyrexlove.com offers a free comprehensive guide to decorated vintage Pyrex that allows you to quickly identify vintage Pyrex patterns. The Pyrex Love Pattern Reference features detailed descriptions and clear photos of Pyrex Corning Ware organized by type, pattern and color. The Poster Price Guide at PostersPlease.com is is a free, searchable index of poster auction results provided by Poster Auctions International. A subsidiary of New York based auction house, Rennerts Galleries, Poster Auctions Itl. deals exclusively in original vintage posters. Sign up for a free account to enjoy unlimited access to poster prices realized at auction. Reverb.com is the ultimate online resource for pricing and information on the wide world of music gear. Prices are based on real-time sales and are intended to represent the current value of instruments and gear in used but original condition. Kovel's price guide list of Frankoma Pottery includes image, category, pattern, description, year priced and price. **Register for a free account to see Frankoma Pottery prices. Includes Vintage Fiesta Pottery price guide, Fiesta Pottery photo gallery, Fiesta Pottery history and more Fiesta Pottery resources. Antiques expert Diana Petrillo offers a price guide with photos and suggested values for vintage and antique ironstone pieces that an "average" buyer or seller might come across. The values are based on ironstone pottery that Diana (adironackgirlatheart.com) has personally owned or sold. Oldandsold.com has hundreds of images online of pottery & porcelain marks, initials and signatures representing manufacturers from over 20 countries including the United States, Great Britain, Japan, China, Belgium, Denmark, France, Germany and others. Porcelain Signs - Antiqueadvertising.com provides a free auction based price guide with photos and prices realized for nearly 700 antique porcelain signs, including vintage porcelain automotive signs, oil signs, tobacco signs, soda, farm and general vintage porcelain signs. The most valuable sign in Antique Advertising's Price Guide is a mint, museum quality enameled porcelain sign for Hood Tires which sold at auction for $14,950 in 2016. Over 12,000 silver marks indexed on 1,200+ web pages. Updated regularly. Updated daily, The PGA Golf Club Value Guide (valueguide.pga.com) provides up-to-the-minute trade-in and fair market resale values for any type, model and brand of used golf club (with the exception of collectible golf clubs,) including; Adams, Ben Hogan, Callaway, Cleveland, Cobra, MacGregor, MaxFli, Mizuno, Nicklaus, Nike, Lynx, Odyssey, Ping, PowerBilt, PXG, Spalding, TaylorMade, Titleist, Tour Edge, Walter Hagen, Wilson and more. Online Barbie Doll Price Guide maintained by Jon R. Warren, whose price guide books have been the authority on collectibles values since 1985. Updated constantly, the iGuide Barbie Doll Price Guide's searchable database provides detailed reports with current market values of ten different grades on an ever-growing list of Barbie Dolls. GIJOEPRICEGUIDE.COM offers a 3 and 3/4 inch G.I. Joe Figure Price Guide and GI JOE Vehicle Price Guide, a GI Joe Buying Guide and a glossary of GI JOE Collector's lingo. Brickpicker.com offers the most up to date and current prices of new and used LEGO sets. The site allows you to identify and price LEGOS by theme, compare LEGO sets side-by-side and even calculate LEGO Lot and bulk prices. “How much is 20 pounds of LEGOS worth?” Get the answer on BrickPicker.com. ToyCollector.com is a great free resource that brings together collectors of all sorts to discuss and price their beloved toys. The site is updated constantly by members so you can rely on the info ToyCollector.com reports as current. One of the oldest and largest buyers of antique toys in the U.S., The Buddy L Museum, offers free confidential appraisals of pressed steel Buddy L cars, trucks, trains and planes, antique and vintage friction and wind-up toys, vintage space toys and vintage tin robots. Simply email clear photos of the antique toys you would like to know the value of to: toys@BuddyLMuseum.com. Amazon.com offers customers a searchable database of thousands of video games and consoles eligible for trade-in that includes real-time trade-in values for each. Chairish.com's go-to pricing resource for vintage furniture and home decor is so easy! Just search for any item - like “Zebra Rug” and pull up real-time marketing price comparisons. You can even filter results by location to see what pieces are selling for in your area. Updated daily, Popsike.com is a database of more than 10 million auction results, specializing in auctions of rare vinyl records. You can use Popsike.com as a price guide by checking the final auction price that a certain record has brought. While not absolute, it is an indication of what collectors are willing to pay. MusicPriceguide.com provides photos and auction results for 173 vintage vinyl Elvis Presley records -- everything from Love Me Tender and Jailhouse Rock to The King's beloved Christmas albums. Topping the list of most valuable Elvis Presley records is a Lot of five 45 singles that Elvis recorded in 1955. That's All Right / Blue Moon Of Kentucky, I Don't Care If The Sun Don't Shine / Good Rockin' Tonight, Milkcow Blues Boogie / You're A Heartbreaker, I'm Left, You're Right, She's Gone / Baby Let's Play House and Mystery Train / I Forgot To Remember To Forget sold on eBay for $8399.99 in 2016. P.S. Do you like this? I would love for you to share it! That's it for now :-) but be sure to check back. I'll add more free price guides soon.